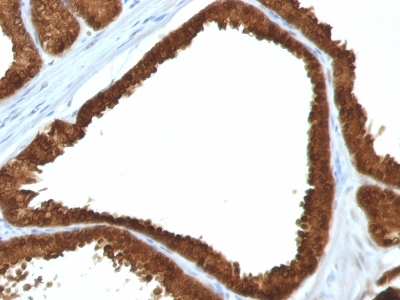 Cyclins, regulatory subunits, which associate with kinases, control many of the important steps in cell cycle progression. 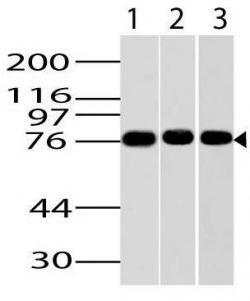 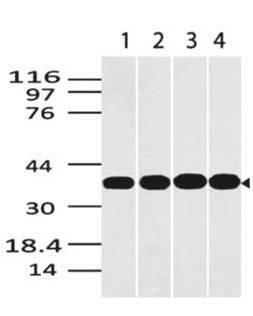 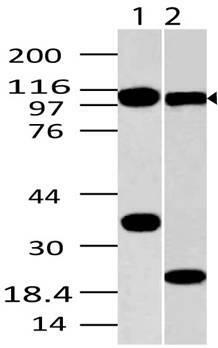 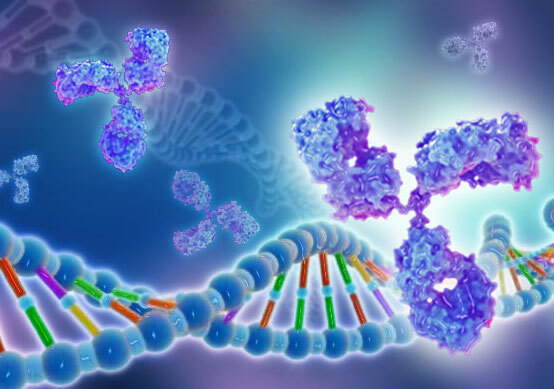 The Cdc2 protein kinase (p34Cdc2) exhibits protein kinase activity in vitro and exists in a complex with both cyclin B and a protein homologous to p13SUC1. 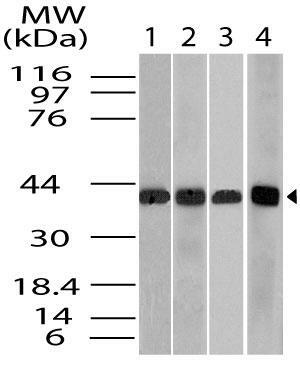 Cdc2 kinase is the active subunit of the M phase promoting factor (MPF) and the M phase-specific Histone H1 kinase. 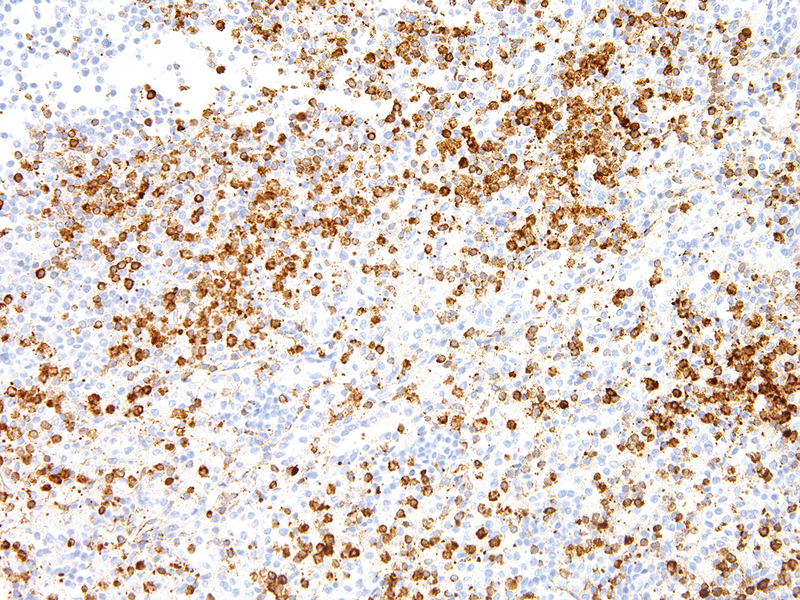 The p34Cdc2/cyclin B complex is required for the G2 to M transition. 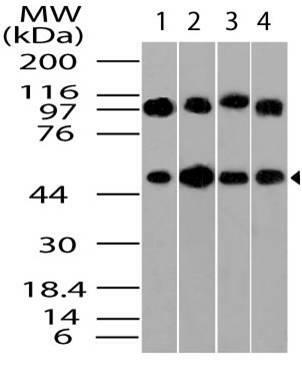 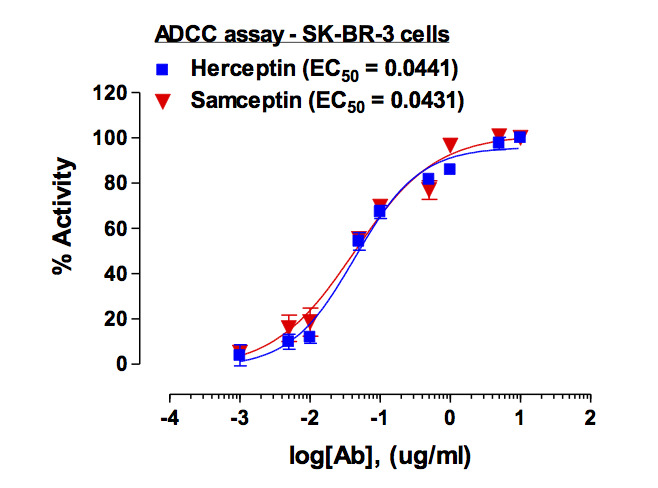 An additional cell cycle-dependent protein kinase, termed p55cdc, exhibits a high degree of homology with the S. cerevisiae proteins Cdc20 and Cdc4. 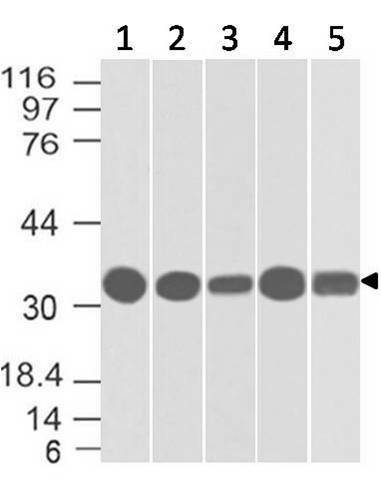 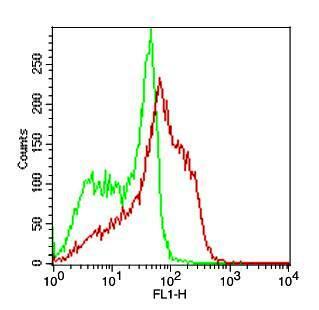 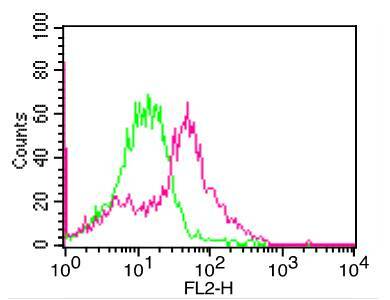 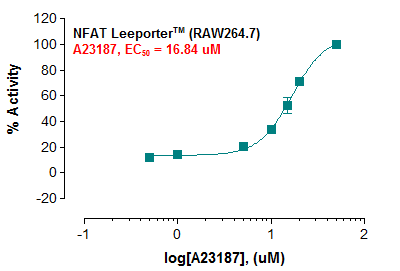 The p55cdc transcript is readily detectable in a variety of cultured cell lines in growth phase, but disappears when cell growth is chemically arrested. 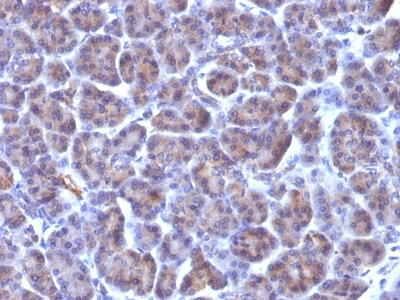 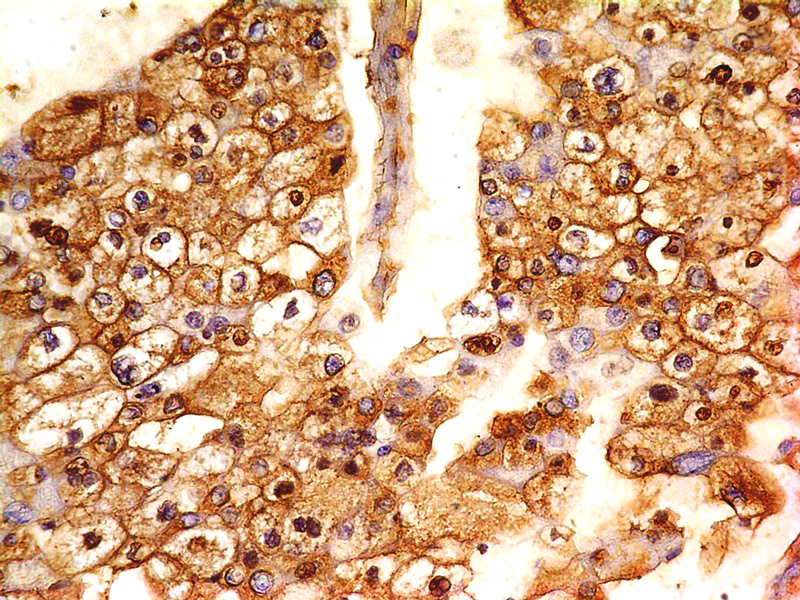 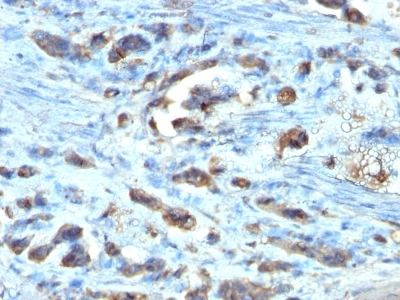 Flow Cytometry (0.5-1µg/million cells in 0.1ml); Immunofluorescence (0.5-1µg/ml); Immunohistology (Formalin-fixed) (0.5-1µg/ml for 30 minutes at RT); (Staining of formalin-fixed tissues requires boiling tissue sections in 10mM Citrate Buffer, pH 6.0, for 10-20 min followed by cooling at RT for 20 minutes); Optimal dilution for a specific application should be determined.